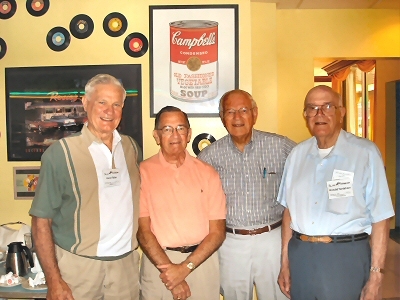 The following photos were taken during the 2003 Group reunion. 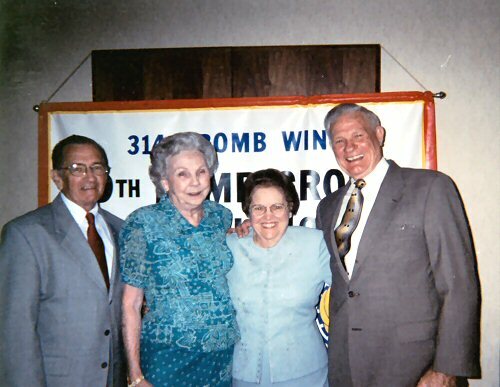 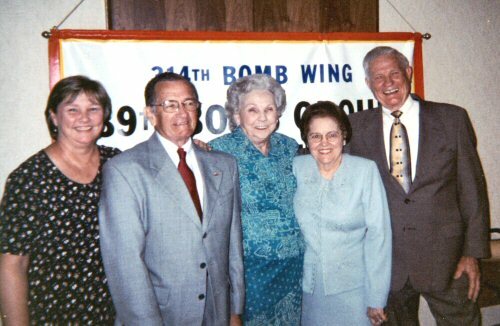 David Hirsch, TG, his wife Doris, Shirley and her husband David Fisher, Radio Operator. 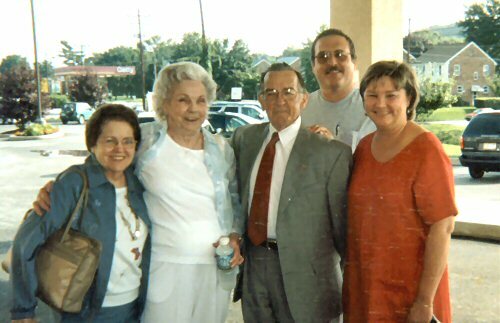 Dave stopped to visit Roland after the August 2004 Group Reunion. 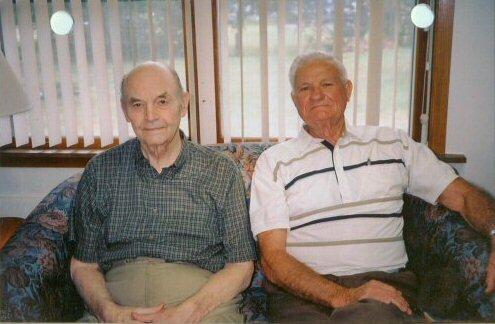 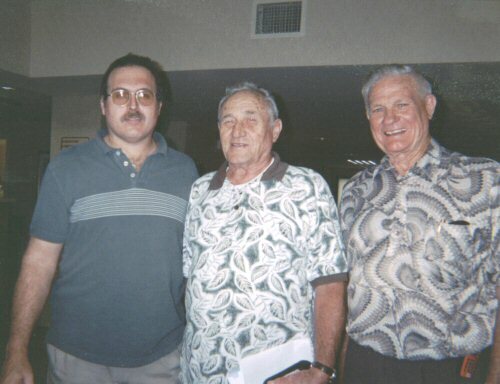 In 2003, Fisher and Hirsch were able to meet for the first time since 1945 and they got together again in 2004; in 2005 Clendening and Hartshorn were able to attend 39th BG Group Reunion, making this their first meeting with crew mates since the war.